Frutrients prides itself on using only the purest, most natural ingredients available without using any additives or fillers. Producing a clean and natural product is of the highest importance for all of our formulas. Fruitrients is Superior to Fruit Juices. Fruit juices generally contain 85%-99% water. Fruit juices are heated/pasteurized otherwise they would release gases due to fermentation and the bottle would most likely explode. All of the “active compounds” in exotic fruits are found in the “non-water” portion of the fruit. The juices therefore contain only small amounts of the active compound. 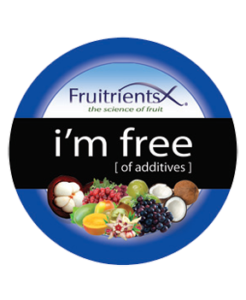 Fruitrients’ products are “concentrated” forms of the exotic fruits without the added water, sugar or preservatives. There are no “other ingredients” in Fruitrients. 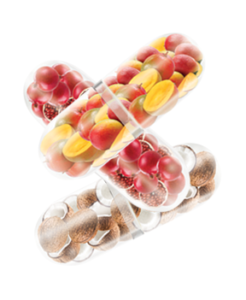 Most supplements contain what are called, “other ingredients.” These “other” ingredients are generally not included to improve the quality or efficacy of the actual formula, but rather as “filler” to help speed up the process of manufacturing. Most people do not even notice “other ingredients”, as they are not emphasized on the products’ label. What is also not emphasized is that some of these “other” ingredients have no actual health benefit and may actually be unhealthy for you. The most important objective for any natural supplement formula is for it to actually be “natural”. All Fruitrients’ formulas are made using only the purest, highest-quality ingredients available, period. We will never use a potentially unhealthy “filler” just so we can make the process go faster. That is not right, and that is why you will never find any “other ingredients” in any of our Fruitrients‘ formulas. Fruitrients DOES NOT USE any additives of any kind! Some of the common Additives and Excipients (other ingredients) used by others in manufacturing are: Stearic Acid, Magnesium Stearate, Silicon Dioxide, Croscarmellose Sodium and Microcrystalline Cellulose.